Wine pull fundraiser games are great ways to raise money for a non-profit. 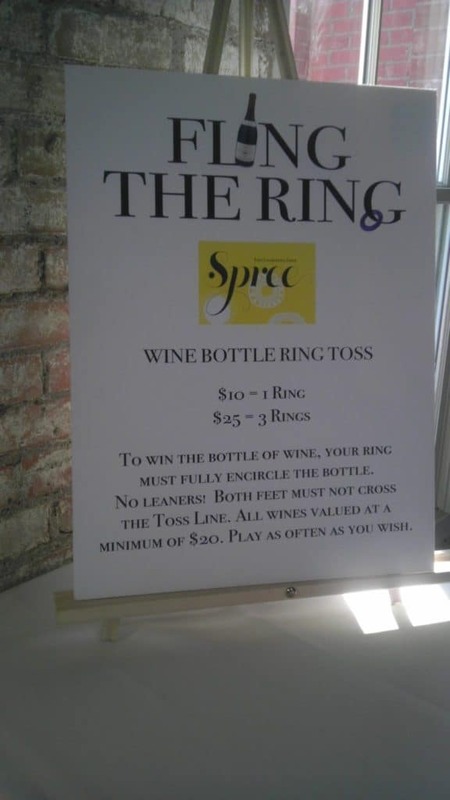 Many events include a wine pull where the guests are allowed to pick a bottle of wine for $25 and receive a bottle of at least that value while having a chance to win a bottle of a higher value. 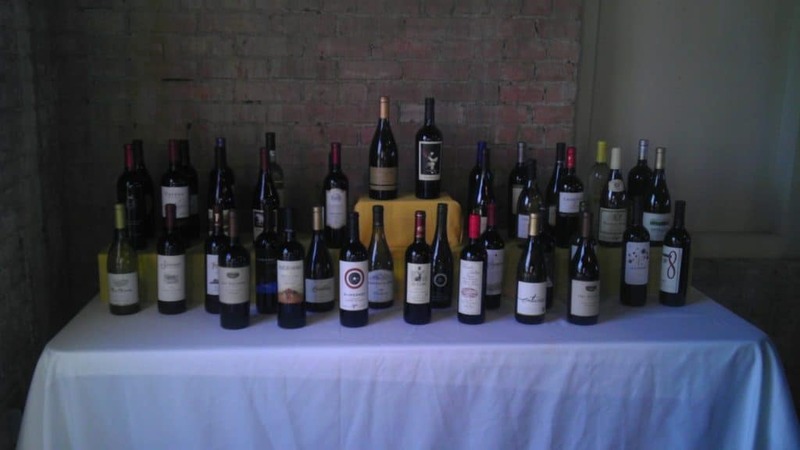 At a recent event, the auction chair put a new spin on the standard wine pull. 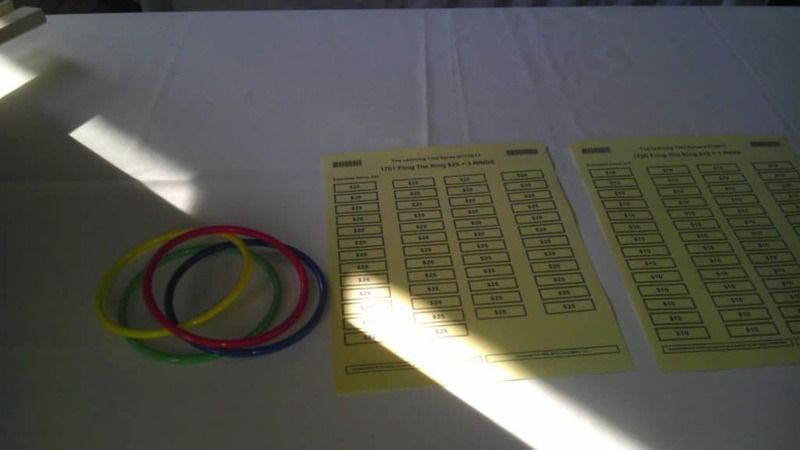 They created a wine pull ring toss game which added some entertainment and fun competition to the night! 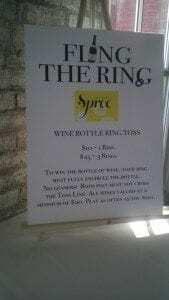 To win the bottle of wine, your ring must fully encircle the bottle. Both feet must not cross the toss line. Play as often as you wish! 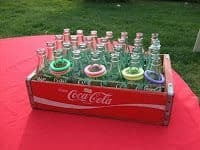 One ring toss for $10 or 3 for $25. All bottles valued at least $20. The following is an example of ideas on how to display wine bottles. You can also learn more about wine pull fundraisers by watching our series of videos. As professional charity auctioneers, Murad Auctions organizes and manages successful, profitable fundraising auctions for non-profit organizations in Dallas, Fort Worth and other cities across the U.S. We use our expertise, knowledge of the auction industry, new and creative fundraising ideas, and our effective and efficient procedures to host auctions that are so effective they often break records and exceed goals. We offer a variety of auction services to help make charity fundraisers successful, including live auctions, bid spotters, auction consulting, registration services, silent auction set up, auction solicitation services, and professional event planning.